The store opened its doors at 8 a.m. Friday, local media reported, and ushered in a few fans who had camped out, along with others who woke up early. They were there to buy the new iPhone 8 and iPhone 8 Plus, as well as the updated Apple Watch and Apple TV. Lining up outside Apple Stores has become a tradition for Apple (AAPL) product launches. But the usual excitement is expected to be muted this year, with many customers choosing to wait until November to upgrade to the more expensive iPhone X. Released 10 years after the first iPhone, the iPhone X is being marketed as the future of the product line. It features face-scanning technology that can unlock the phone or make animated emoji faces. The screen takes up more space, pushing off the iconic Home button. Many shoppers at an Apple Store in downtown Hong Kong told CNNMoney they were planning to wait for the iPhone X. Those who were there to buy the 8 gave a range of reasons, including its cheaper price tag and the fact that it still has a Home button. 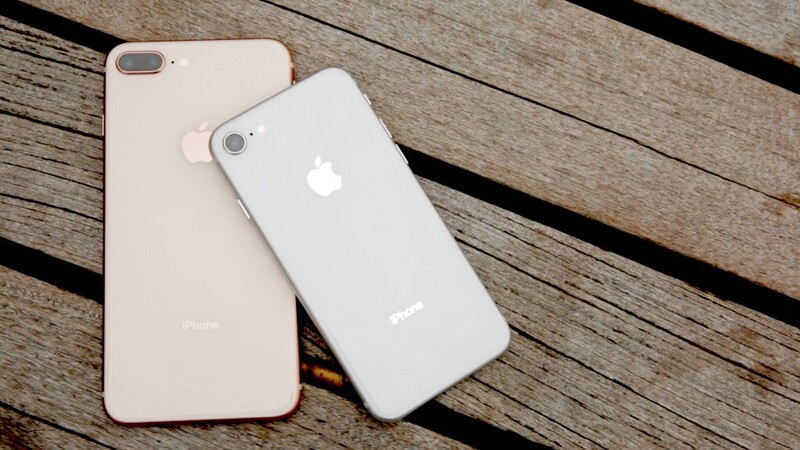 The iPhone 8 and iPhone 8 Plus are more conventional devices than the X. They add wireless charging, new camera sensors and the same faster A11 processor as the X, but for the most part look the same as the iPhone 7. They also cost $200 to $300 less than the iPhone X, which starts at $999. 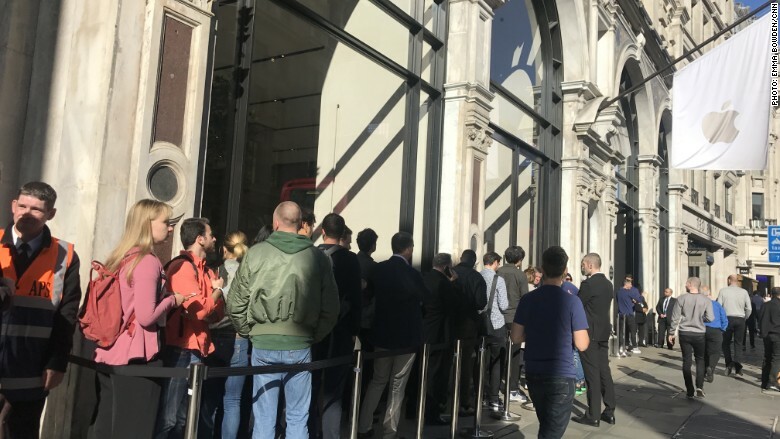 In London, some Apple fans lining up for the iPhone 8 said they were in desperate need of an upgrade that could not wait another month. Shoppers line up outside an Apple Store on London's Regent Street to buy the new iPhone 8. For others, the X's steep price tag was a deal breaker. "I can't justify spending that much money on the iPhone X," said student Heather Ratliff. The 22-year old also wasn't excited by the prospect of face-scanning technology. "I'm fine with using my finger print, so I may as well save a bit of money," she said. Apple's unusual strategy of releasing multiple new phones and staggering the launch dates might not hurt its bottom line, but it could damper launch day excitement for both. There's no reason to wait outside an Apple Store to buy a new iPhone the day it's released. It's easier to pre-order online and get it handed to you by a friendly delivery person. You can also walk into a store like Best Buy or a cellular carrier outlet to get one without the fuss. But the line has become a meeting place for die-hard Apple fans and savvy self-promoters waiting for television interviews. -- Rudolph Birgelen and Emma Bowden contributed to this report.